When you think about aquarium decor, there are probably a few things that immediately come to mind: brightly colored pebbles, rocks, plastic plants, and maybe even a scuba diver with a treasure chest. But what if you want to do something different to create a decorative fish bowl or tank? What if you don’t have a stunning aquarium coffee table or gallery view aquarium and you’re looking for a way to make your large 55-gallon aquarium more unique? If so, we’ve got some great ideas for you. But before we go any further it’s important you read the following! Before you put anything in your aquarium, make sure it’s not going to affect the water. Stay away from natural things you find outside or anything that has paint, it can chip or be worn away by the water. If you’re worried (of course you are!) you can test your decor by placing it in warm water for a few days to see how it reacts…Does the paint affect the water? does it flake or rust,? do the water parameters change? Tip: A lot of aquarists use Krylon Fusion Paint in their aquariums to seal or paint homemade decorations. Kyrlon Fusion comes in a few colours as well as clear. So go ahead & use that old G.I Cobra Comander Figurine, just seal it first. 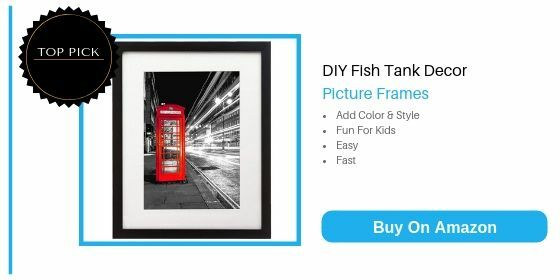 Here is a great article by Thatpetplace.com that discusses how to decorate a fish tank with household items and a few aquarium safe materials you can use when making your DIY aquarium decorations. You’ll also need to make sure you clean everything well so you don’t introduce any contaminants into your tank. Now, let’s take a look at some cool homemade DIY fish tank decoration ideas for your freshwater aquarium. One placed at the bottom of an aquarium on its side makes a big impact or scatter smaller ones for a really interesting look. Don’t limit yourself to terracotta—there is a wide variety of different shapes, sizes, and colors available! Scrub them well before you place them in the tank. Another big thing to keep in mind with pots is to pay attention to the drainage holes & sharp edges. Make sure that your fish won’t get stuck or cut. Your best bet is to either seal the holes or better yet make sure they’re large enough for your fish to swim through. If your aquarium is in your office, adding a mug with your business’s logo is a great way to get a little bit of branding in and add an unexpected element to your tank. That said, this idea works for home aquariums, too! Putting in a funky mug or two (or three!) makes your aquarium a real conversation piece. Imagine dinosaurs roaming through your aquarium or farm animals hanging out with your fish… even sand toys buried in the sand at the bottom of your tank. You could even create an underwater Star Wars Jedi battle. Don’t be afraid to have a little fun with your fish! 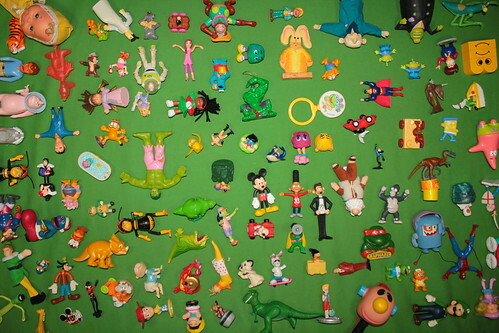 The possibilities are only limited by your imagination and what you can find in the toy store. 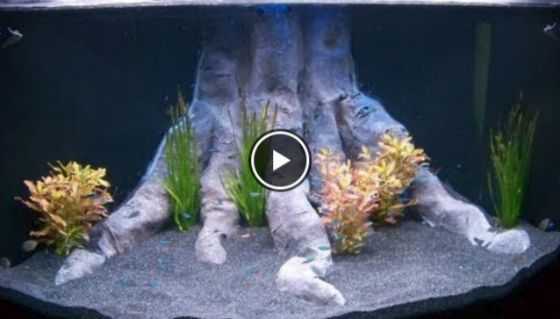 Check out these really cool aquarium set up ideas…AWESOME! Putting things inside the tank is not the only way to decorate. Another option with endless possibilities is simply adding a large print picture to the back of your tank. Sure, you can go the standard route and give your fish a reef to swim in. But think outside the box! How about swimming in a starry forest? Taking their VW van to surf at the beach? Or maybe your fish want to hang out in outer space? 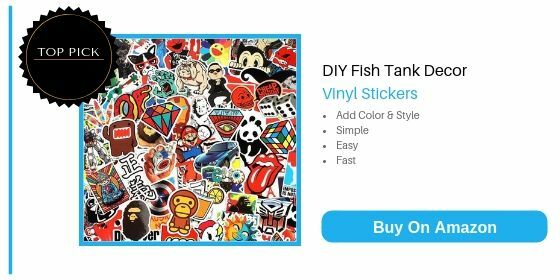 With a cool poster and some double-sided tape, you can transform your aquarium so your fish can go just about anywhere. 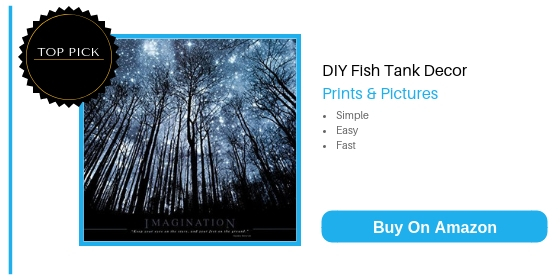 Here is a cool video on how to make your own Aquarium background. Placing a ceramic figurine into your aquarium can really change the mood of your tank. Choose something colorful and modern for a little bit of fun. You could also go with something more classic to give a more serious vibe. Or you can add a little something outrageous that has absolutely no business being in an aquarium. Any of these choices will definitely make your aquarium a real conversation starter. Go beyond simple toys by building elaborate displays out of Legos. There are so many possibilities. You can go a more traditional route and introduce some deep sea explorers or even build an underwater palace. But don’t stop there. Set up camp for a Lego family. Build an underwater ferry or create your own deep sea Alcatraz. Create the New York City skyline. This is a really simple way to dress up the outside of your aquarium. It’s another fun idea where the choices are almost unlimited. Place stickers on the sides and around the front edges to create a cool effect. Add simple polka dots or stars. Build a scene from your favorite video game (Super Mario anyone?) or your favorite children’s book. You can even stick with fish if you want! Don’t forget your aquarium when the holidays come around! 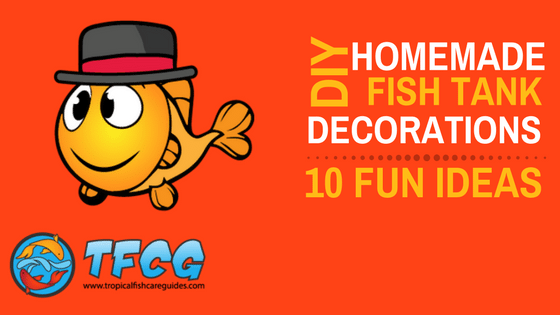 There are a lot of things you can do to bring the fun and festivity to your fish. For Halloween, add some skulls & skeletons or fill the tank with scary spiders. 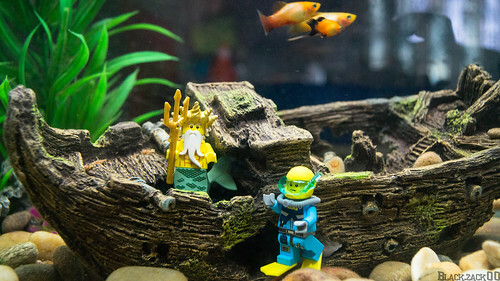 Thanksgiving is the perfect time to add a Lego feast for your fish or add a colorful fall backdrop. There are so many possibilities for Christmas: Add snowflakes to the outside of the tank, let some reindeer hang out with your fish, or just get some little gifts for Santa to leave for your fish. Of all the decoration ideas, this one is by far the easiest one to create. All you need is a permanent marker and your imagination. 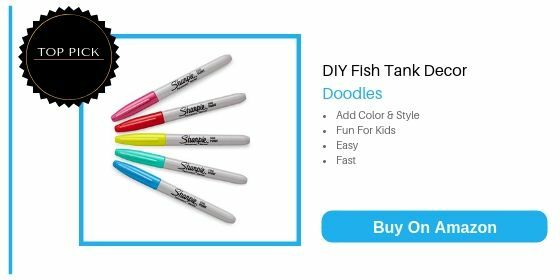 Draw directly on the surface of the glass to add some cartoonish charm to your aquarium. Doodle a fisherman on a dock, create a little house, design a private island, or whatever you want. Designs can easily be removed with aquarium safe cleaner so you can erase them and change the scene whenever you want! For an easy way to draw attention to your aquarium and make it match your existing decor, add a simple picture frame to the front. This idea works best with small tanks because it all hinges on finding a frame that’s the right size. If you put a frame that’s too heavy on the front of a large tank, it could cause damage or make the tank unstable. If you have a small tabletop tank, try to find a frame that’s not too heavy and that covers the edge of the front of the tank. Then, remove the frame’s glass and backing so you’re only left with the actual frame itself. Get some picture hanging strips, attach them to the tank and the frame, and there you have it! You can choose something simple or go with one that’s a little funkier.